EPIC Y Grade Services and its subsidiaries passed a major milestone by engaging right of way and survey contractors for construction of the upcoming 650-mile EPIC NGL pipeline. The project is being managed by San Antonio-based EPIC Y Grade Pipeline, LP. The pipeline will allow West Texas and New Mexico based producers to have convenient access to various resources at the export markets in Corpus Christi. The EPIC pipeline has already started construction at various locations along the route. Additionally, the project will be a major source of multi-year jobs for many Texas-based firms that operate across the state. Landpoint will be working closely with the seasoned engineering and right-of-way management teams at EPIC Y Grade Pipeline to assist with the routing and construction of the project. The companies will be applying an assortment of technological innovations, including drones, to help plan, construct, and monitor the various phases of the pipeline as the project progresses. 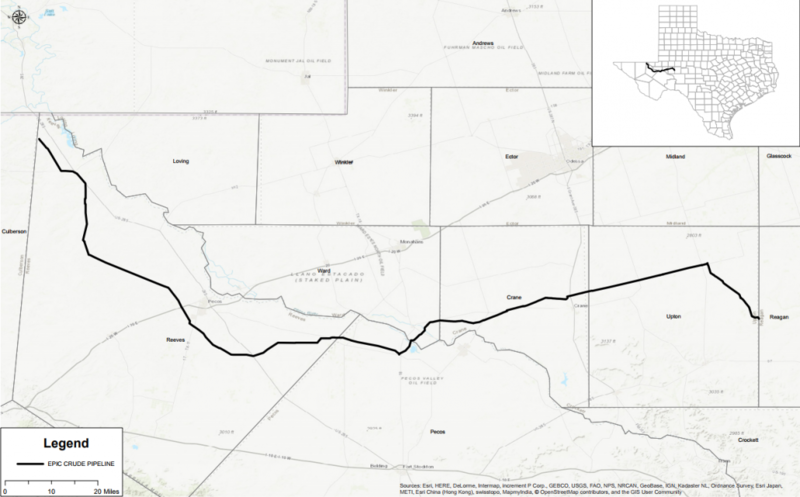 In addition to the EPIC NGL project, the EPIC crude pipeline is a 700-mile oil pipeline that will initially provide 550,000 barrels of oil each day from West Texas as well as South Texas. For a full press release and information on the EPIC Pipeline project, please visit the EPIC Pipeline, LP website.